I didn’t really know what to expect when it came to visiting Death Valley in California. Well, that’s not entirely true, I expected it to be hot. 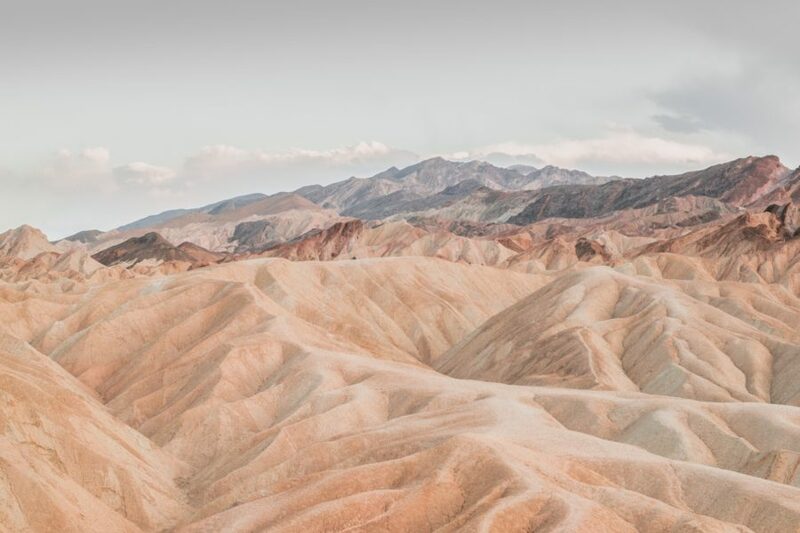 Death Valley is a National Park that’s below-sea-level and is renowned for being in a steady drought. It’s where you find record making temperatures in the summer but when we visited this was not the case. It rained, it poured and thunder and lightning all night. We ended up staying in the campsite within the park and I was honestly worried the wind would blow Elvis over or the hail would break through the roof. It was insane! But before the rain, I’d be amazed by the views and colours in Death Valley National Park. 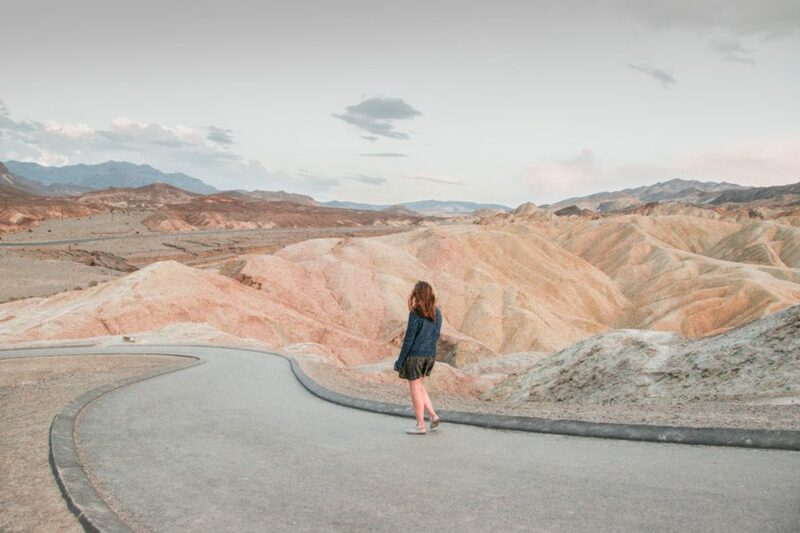 If you’re travelling through California on a USA road trip then make sure to check out Death Valley National Park and use this handy visitor guide to help! Where is Death Valley National Park located? Death Valley National Park is the largest US National Park outside of Alaska at 3.4million acres. 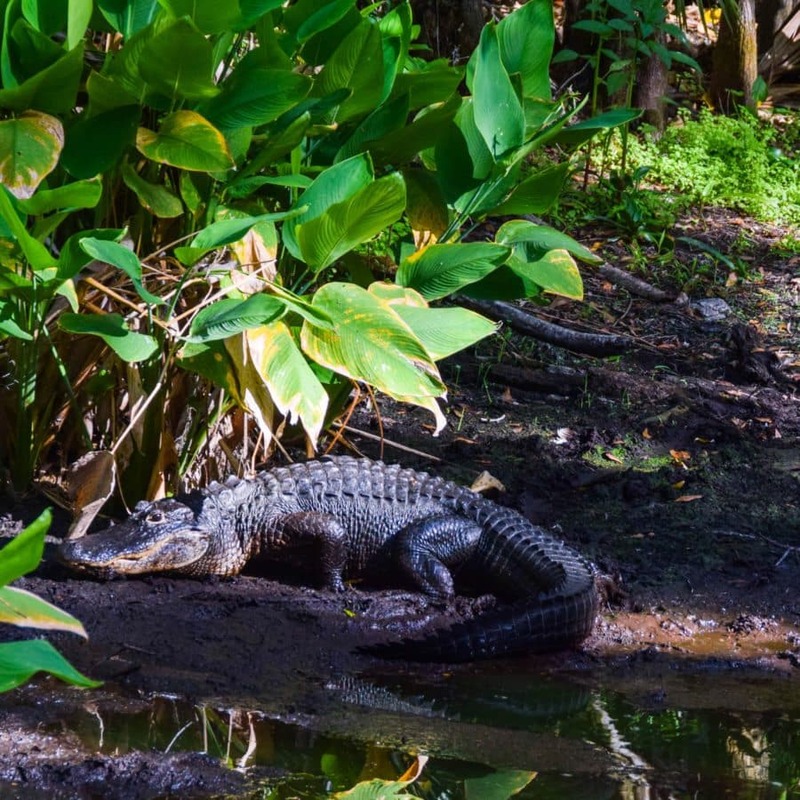 There’s a huge amount of exploring to be done whether it’s hiking, exploring Death Valley’s historic sites, watching the night sky, or spotting Death Valley wildlife. 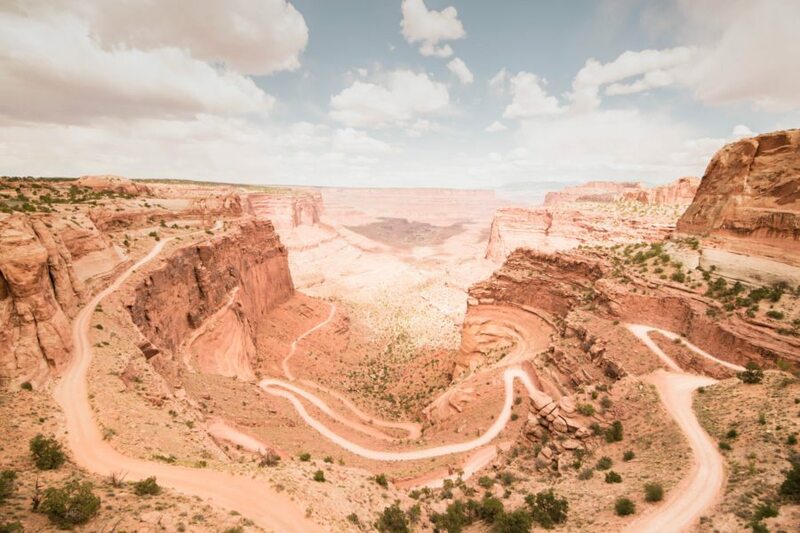 There are nearly 1000 miles of paved and dirt roads but even with that much of the park made accessible, there’s still 91% of the park that’s protected as officially designated Wilderness. Here you’ll find low salt crusted valley floors, mountains, canyons, Death Valley sand dunes and spring-fed oases. Death Valley’s elevation is one reason why the park is famous. Yes, you’ve heard right, Badwater Basin is lower than sea level! Some of the main sites in Death Valley can be explored within an afternoon but you’ll find yourself wanting to return to see more, I’m sure! Death Valley National Park is in eastern California and is just west of the Nevada – California State border. It’s 123 miles from Las Vegas to Death Valley (2 hours), and roughly 3.5 hours drive away from Los Angeles. Death Valley temperatures are pretty warm all year round. December and January are the coolest months at around 18-19 Celcius / 40 Fahrenheit. If you’re in Death Valley in summer then temperatures usually soar to 45 Celcius / 85 Fahrenheit. Death Valley National Park weather in the summer is very dry and hot. On average, there’s only one day’s rain in the winter months from January – March. We visited in April and had the driving rain and hail so that doesn’t mean it won’t rain in other months! 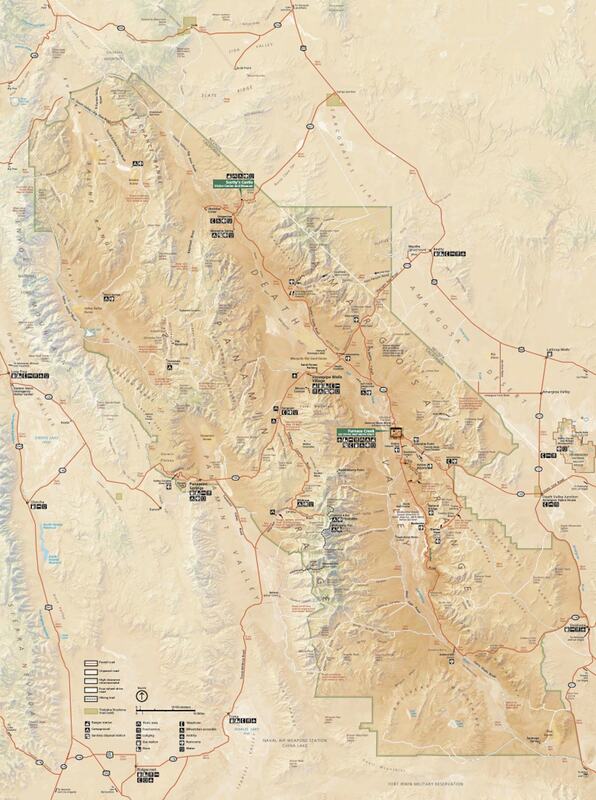 [Click the link to see an enlarged Death Valley map]. Here’s a map of Death Valley National Park that shows the roads and main sites some of which are mentioned below or in other posts. Death Valley National Park is closest to the cities of Las Vegas and Los Angeles. If you’re coming from either of those two cities then here’s a quick bit of info on the routes. I’ve only listed the international airports but there are a few smaller airports that are closer. Just check Skyscanner for the most up to date pricing. Las Vegas McCarren International Airpot and LAX are the closest international airports to Death Valley National Park. If you’ve yet to choose your dates then take a look at Dollar Flight Club, once signed up you can set your home airport(s) and then they’ll let you know when they find amazing deals on flights. The savings they find every day AMAZE me! If you’re driving to Death Valley National Park here are some basic directions from popular places. If you need to rent a car definitely check out RentalCars.com, it’s super easy to compare rental prices so that you can be sure you’re getting a good deal! Getting to Death Valley from Las Vegas takes about 2 hours depending on traffic. You’ll want to leave Vegas on the US 95 North until you get to the small community of Gold Center. From here take the NV 374 South, following signs for Death Valley. Alternatively, you can take the slightly longer, but scenic route, along the NV 160 West. This way takes you more directly to Death Valley Junction and the various routes to the top attractions in Death Valley National Park. Here are some of the following permits, passes and fees you may need to pay during your Death Valley trip. The Death Valley entrance fees are $30 per car, this lasts for 7 consecutive days. If you’re entering by foot, bike or by taking the Zion National Park shuttle bus then the entrance fee is $15 per person. It’s unusual for all the Death Valley campgrounds to fill up but if you’re hoping to stay at Furnace Creek campground you may want to reserve prior to your visit. All other campgrounds are first come, first served. More information about Death Valley National Park camping here. Death Valley National Park has a huge backcountry area and there are around 700 miles of backcountry dirt roads which lead to backcountry camping in Death Valley National Park. However, you must follow some regulations to protect the park and yourselves. 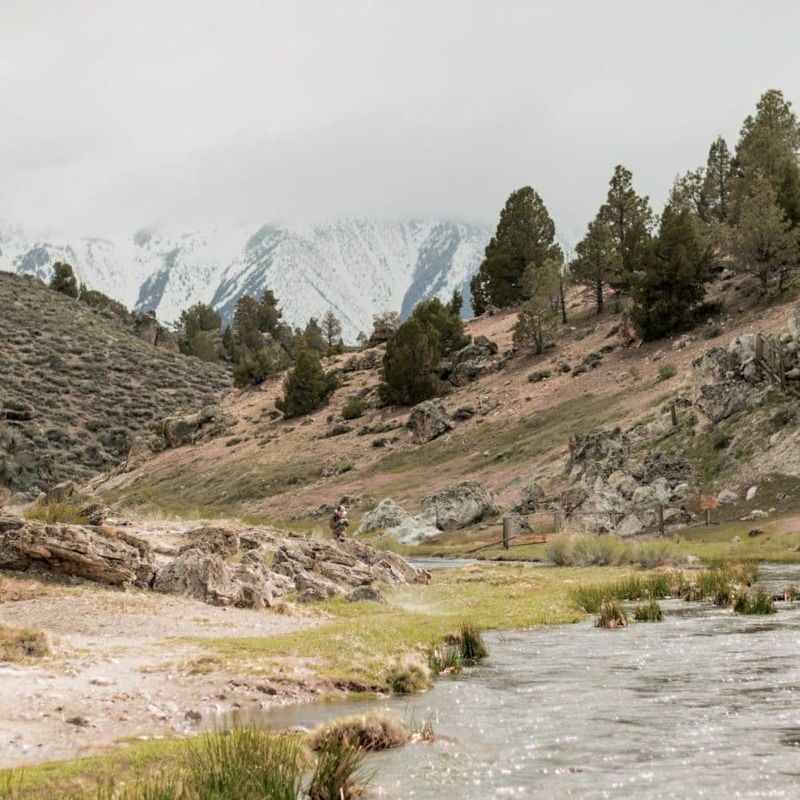 You can find free, dispersed backcountry camping in Death Valley as long as you are at least one mile away from any paved road or ‘day use only’ dirt road. You must also only camp in previously disturbed areas and park right next to the roadway in order to minimise impact. 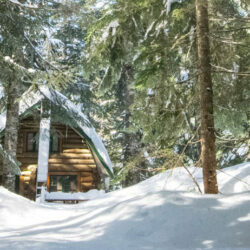 More information about backcountry camping here. It’s hard to pick just 5 things to see in Death Valley but here are the top attractions in Death Valley that we saw! There’s a great variety of easy to strenuous trails in Death Valley National Park. Before you do any hiking in Death Valley, I highly recommend checking out this page to make sure you’ve done adequate preparation. Prefer to travel as a tour or are you short on time? 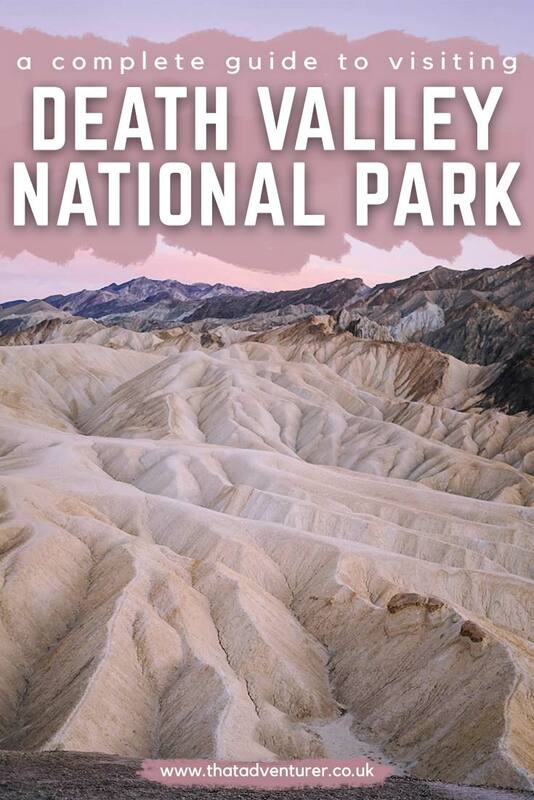 Check out these tours to Death Valley National Park! 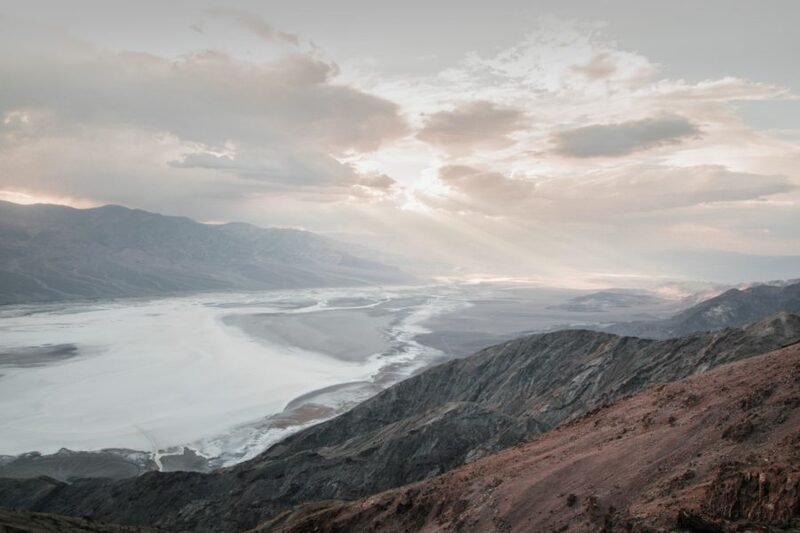 Death Valley Trekker Tour: Pick up and drop off from Las Vegas. 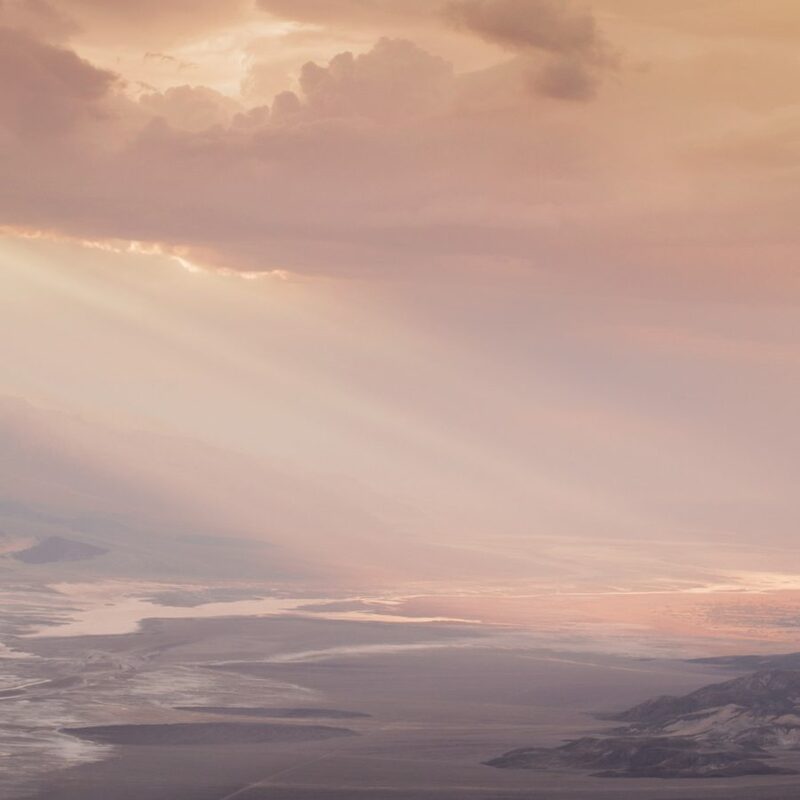 See Furnace Creek, Devil’s Golf Course, Badwater, Zabriskie Point, and more. 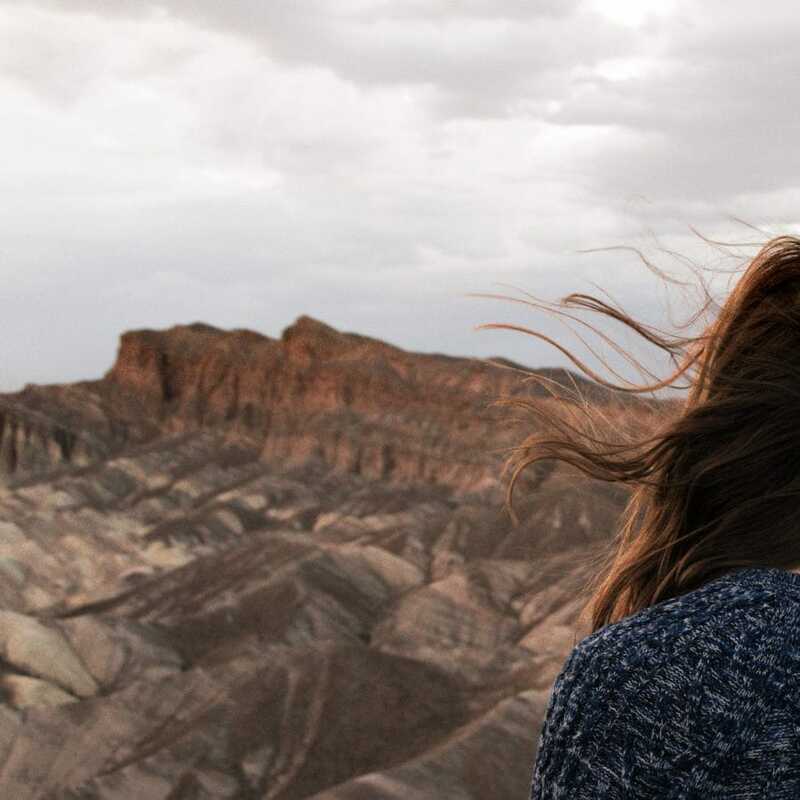 There is some limited accommodation within Death Valley National Park but you’ll get more options for lodging at Death Valley if you’re willing to sleep over the state line in Nevada. 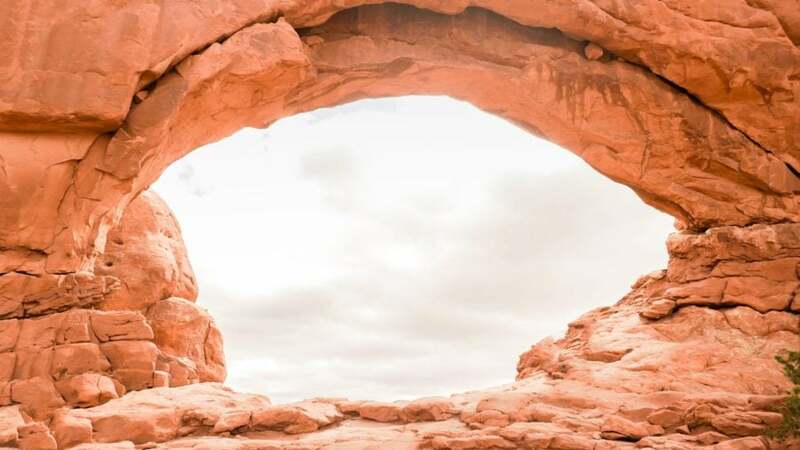 Here are some of the top options for accommodation in Death Valley and it’s surroundings.